INDOOR HANDGUN RANGE IS OPEN to MEMBERS ONLY until further notice. 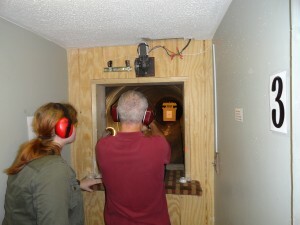 Annual Memberships for the Handgun & Rifle range start at $350.00 paid annually for unlimited use Monday thru Saturday. Or 35.00/month for 12 months billed to your CC. Your wife/husband shoots for free in the same lane w/ the member. For an additional $100.00, your spouse and/or Son/Daughter can obtain an additional membership. Everyone must pre-qualify for a membership by taking a 15 question safety exam. Prospective members must also safely demonstrate they can load/unload and shoot with a fair amount of accuracy. Range members must purchase and use our “Non-toxic indoor ammo” No exceptions!!!! 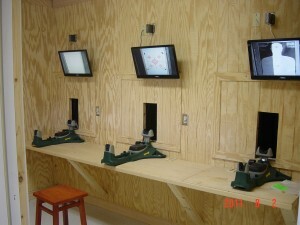 INDOOR RIFLE RANGE: SHOOT YOUR OWN AMMO!!! 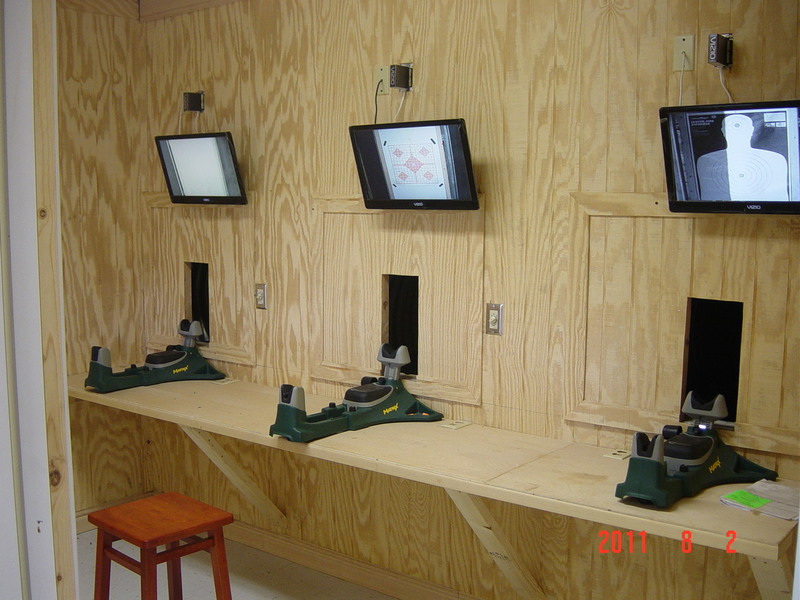 Our Indoor Rifle Range features THREE 100yd lanes and two 40yd lanes. Cost is 15.00 for each half hour of use. Each shooter must purchase a ONE TIME 5.00 Liability range card. Presentation of the liability card is required each time anyone uses our pistol or rifle ranges. Anyone using our indoor ranges must purchase this card. RIFLE RANGE IS OPEN TO THE PUBLIC Monday-Friday 10am-5pm Sat. 9:30-3pm or is automatically included in a Range Membership.